About this time of year I started getting the same question from new gardeners. In particular, new gardeners who are growing their own tomatoes for the first time start to panic when they notice a brown spot start to develop on the bottom of their tomato fruits. "What's wrong with my tomato plant" they all ask after noticing a small,brown spot beginning to form on a tomato fruit. It's blossom-end rot. 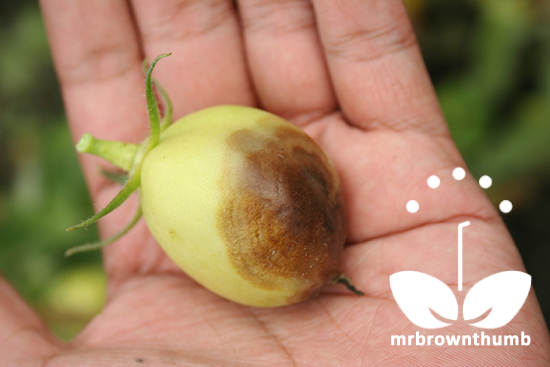 The symptoms of blossom-end rot on tomatoes start off as a small, tan-colored spot on the blossom-end of a tomato fruit. If you’re an obsessive tomato grower that is constantly examining your fruits, you’ll noticed it first when the fruit is small, green, and still developing. Depending on the size and shape of your tomato you may not notice it until the fruit is ripening and the problem worsens and develops into a dry, leathery lesion that is hard to miss. Blossom-end rot isn't a disease spread by garden pests, or something that is transmitted through infected plants. It also isn’t a result of a poorly pollinated flower. Generally blossom-end rot occurs when a developing tomato fruit doesn't get the necessary amount of calcium to the end of the fruit while it starts to develop. This disordered is primarily caused by uneven watering when the fruits are developing that doesn't let the tomato plant take advantage of nutrients in the soil-especially when you’re growing tomatoes in containers. Extended droughts, over watering, or drought followed by over watering can lead to blossom-end rot. Basically, your tomatoes are getting blossom-end rot because you’re not watering properly when the plant needs it most. Don’t let your tomatoes sit in soggy soil and don’t let the soil dry out to the point that the plant is wilting. A couple of years ago while talking to Colleen from In the Garden Online I learned that the elongated, paste-type tomatoes are highly susceptible to blossom-end rot. She pointed me to the paper A Cellular Hypothesis for the Induction of Blossom-End Rot in Tomato Fruit which puts the blame on blossom-end rot in elongated tomatoes on the shape and vascular structure of the fruit. 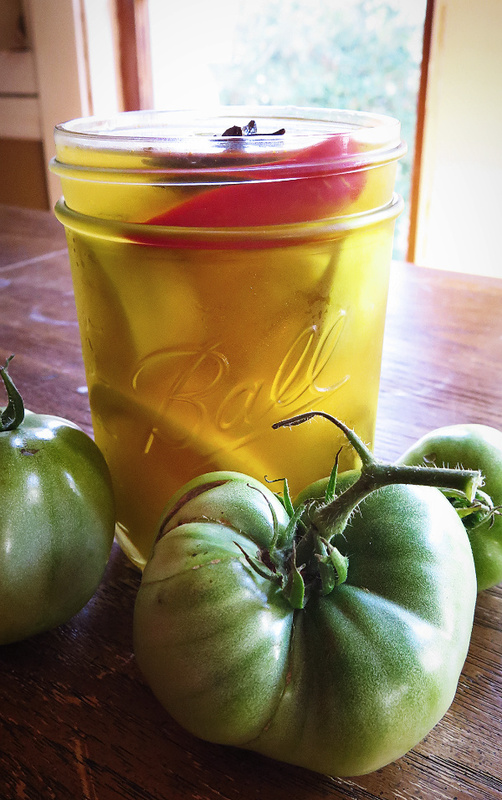 Basically if you’re growing paste tomatoes you’re going to have to live with blossom-end rot occurring. 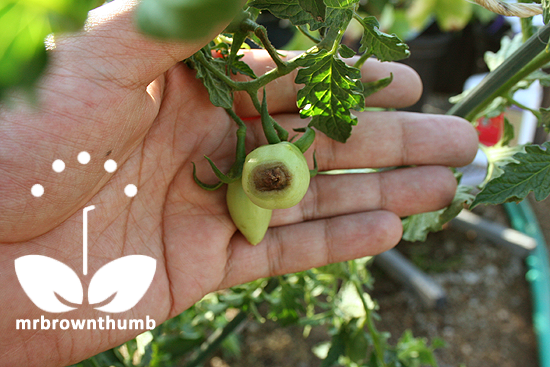 If your tomatoes are showing signs of blossom-end rot you can just simply remove the affected fruit(s) and ensure you properly water your tomatoes from here on out to keep the rest of the crop from being affected. Blossom-end rot also affects vegetables like peppers and eggplants, and the solution when it happens with those vegetables is the same. Good to know! I've heard of this before, but didn't know it was due to improper watering. In NJ we had so much rain early in the season and now lately it been almost drought like and I keep checking for those ugly dark spots on the bottom of my tomatoes but haven't seen any yet. Wish me luck. Great article, thanks. I found a spray that held the blossoms set fruit and helps to control blossom end rot. I've used it two summers now with very few problems. If my information is correct, I understand that another cause of BER is due to acid soil. 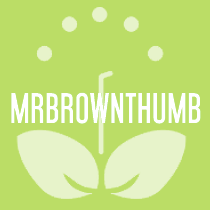 Acid soil means that the plants aren't able to get the nutrients efficiently. When I had blossom end rot this year, I added some wood ash from my fire pit... problem solved. internet site. I'm wondering what’s this Google’s dilemma that doesn’t list this type of helpful internet websites closer to the best. Usually the top rated web sites tend to be stuffed with waste. In particular not too long ago, following the brand new panda algorithm formula up-date. Thanks for the information. We've had very little rain here in Southern Ontario and I noticed that my Roma tomato plants were wilting. I will water them every day from here on in, so hopefully that will stop blossom end rot in the remaining fruits. Incidentally, my cherry tomatoes seem to be doing fine.